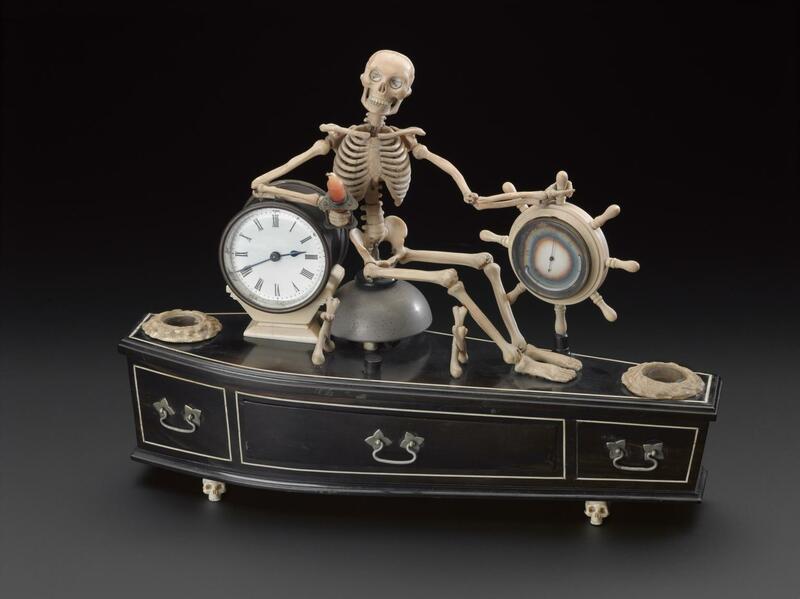 This elaborate alarm clock is a ‘memento mori’, probably of English origin. 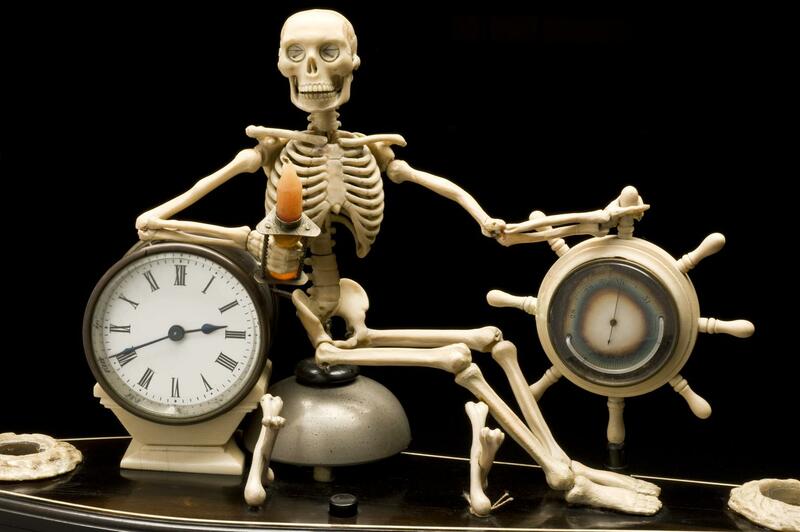 Memento mori translates from Latin as ‘Remember you must die’ and such objects were literally meant as reminders of death, to prompt people to think about the shortness of life and the inevitability of death. 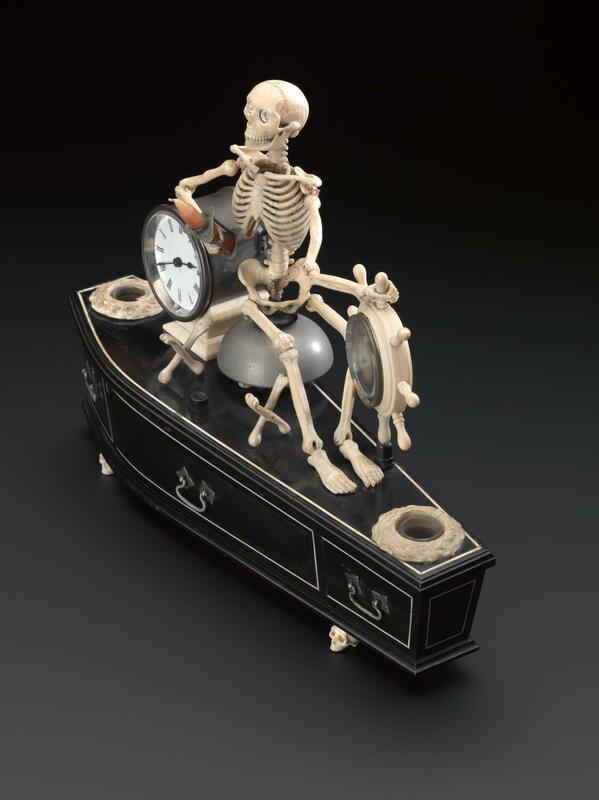 The clock is in the form of a coffin with an ivory skeleton reclining on top. 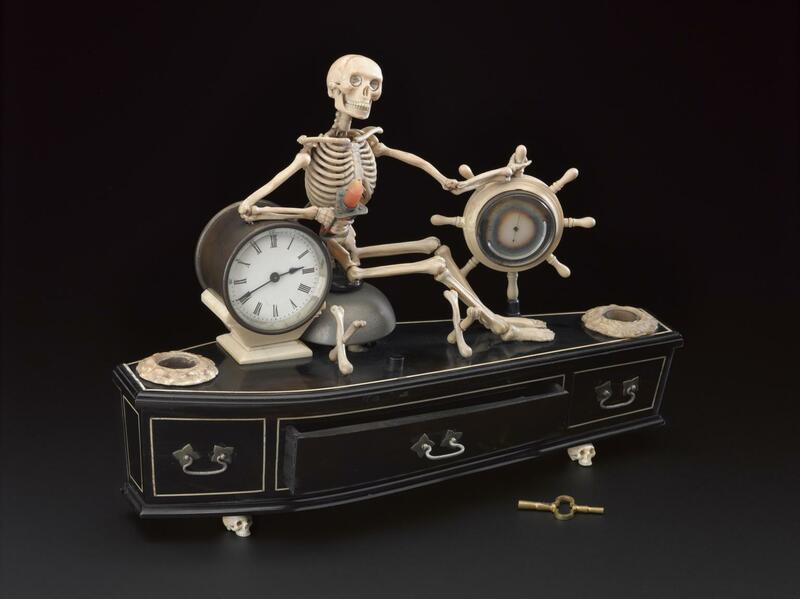 This rests upon the bell and one hand holds a sand timer and a candle. 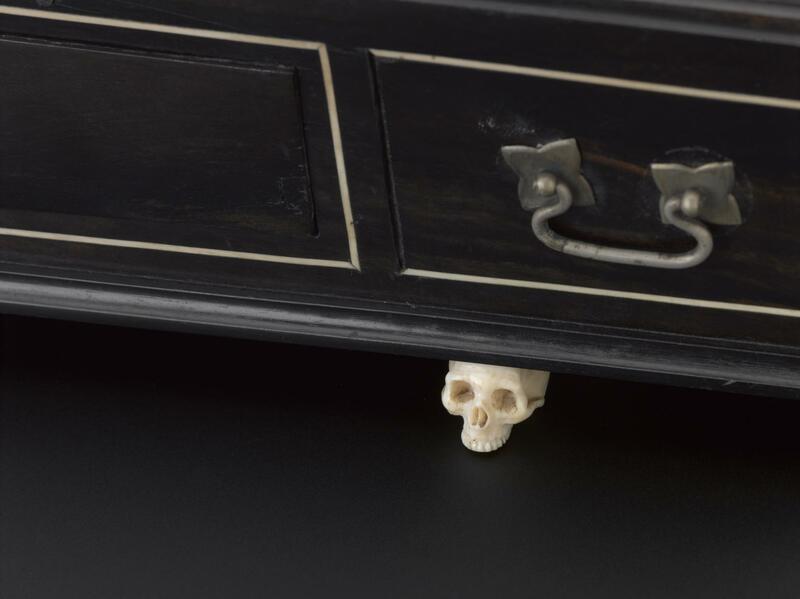 The coffin also sits upon four ivory skulls. 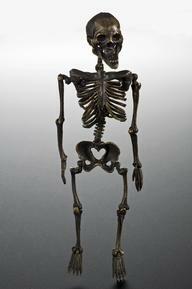 These symbols are typical of memento mori. 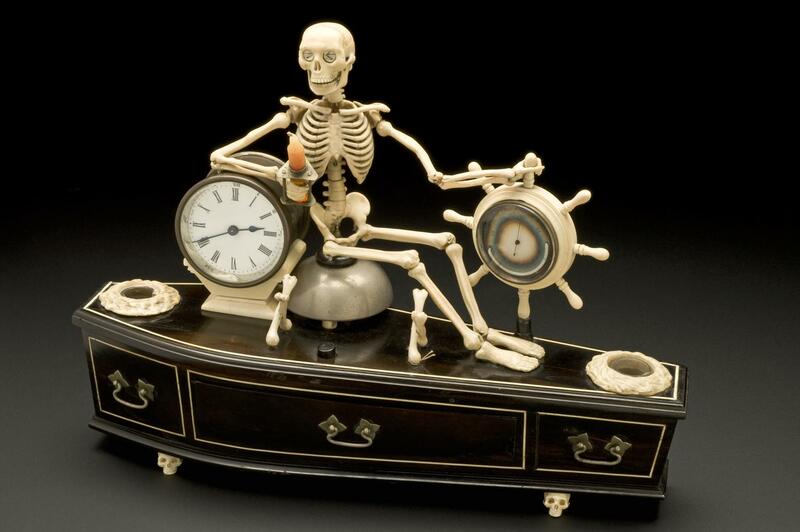 The skeleton’s other hand rests upon a ship’s wheel, inside of which is a small thermometer and barometer. 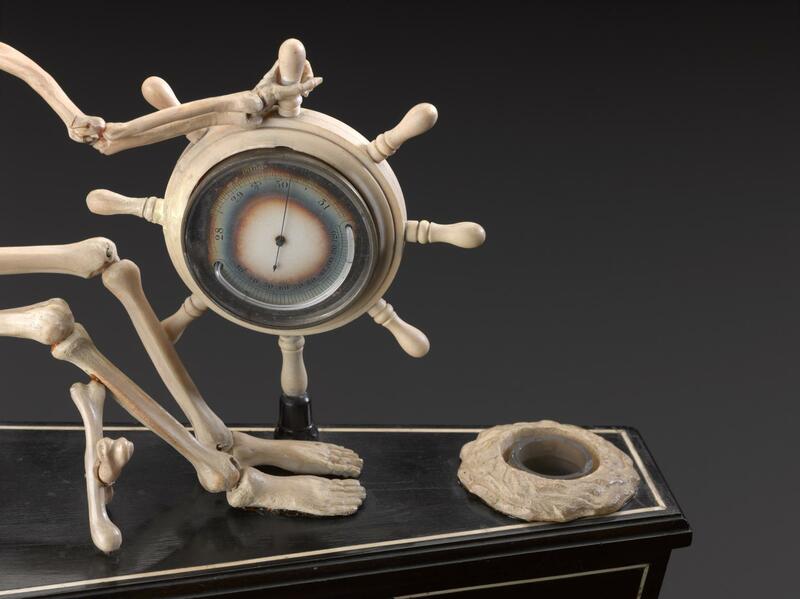 Two wells are at each end of the coffin, presumably to hold candles. 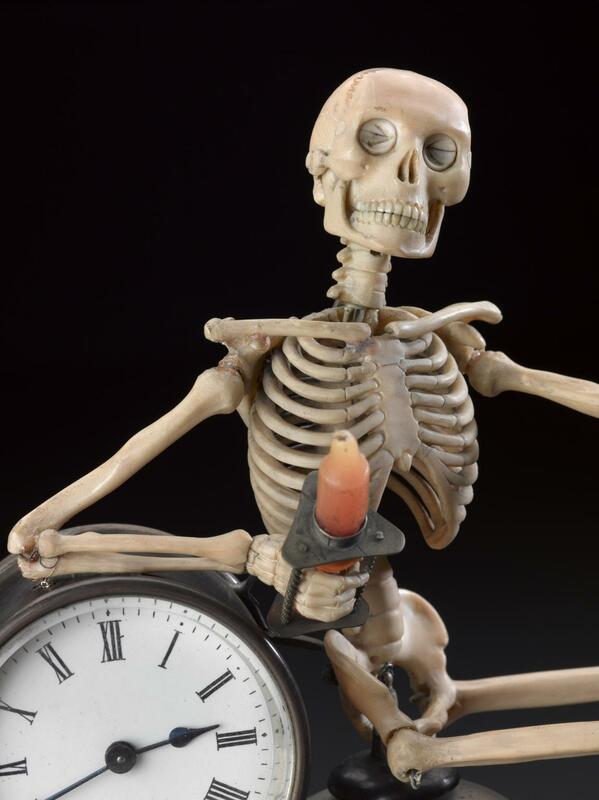 It appears that when the alarm bell chimed, a small card running up the skeleton’s spinal column retracted to make the jaw open and the eyes roll.